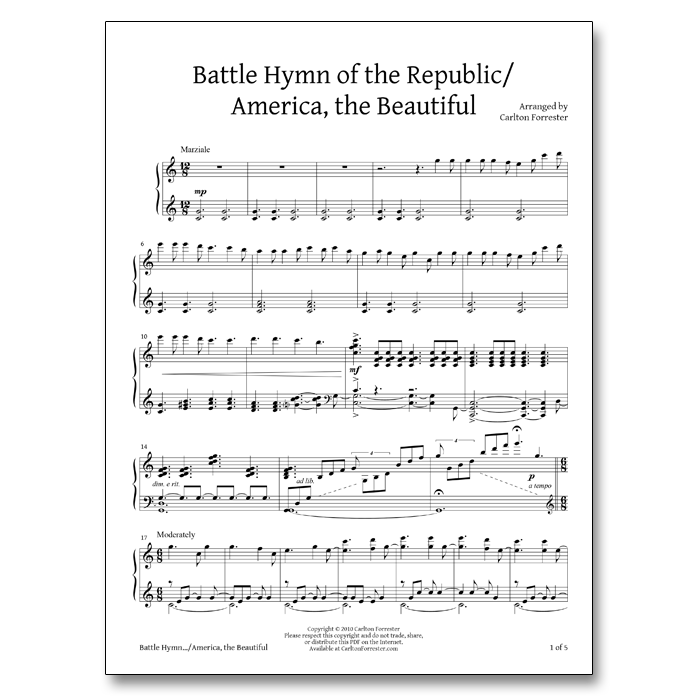 This is the sheet music for “Battle Hymn of the Republic / America the Beautiful” as arranged and performed by Carlton Forrester. Your music is absolutely amazing. I have never had a piano lesson in my life, but can play some. I have always wanted to play this kind of style. I can play hymnal arrangements, but I can’t do anything like this. You are truly gifted. If I had time, I would love to take lessons to be able to play like this. I like that you keep the action solid with continued left hand movement. Everyone develops their own style (s) of playing music, and I could find you just by listening to your music, just like you can find me when listening to my piano playing too.You have a lot of awesome ways of handling your performance and there is nothing like a man playing the piano, showing much strength at the keyboard. 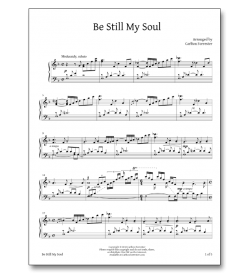 When I play…lol….they think I’m a man playing the piano, given instructions like Authur Rubinstein had…lol…may be the reason…lol…. I hope to hear from you soon.